"Red Bull GmBH", an Austrian organization, had introduced Red Bull in the year 1987, which is known, for selling energy drinks. Since inception, the company is known to have set milestones in culture and sports. It entered into foreign markets in Singapore (1989) and Hungary (1992) and later on established its setup in Germany (1994) followed by UK and US (1995 and 1997 respectively). According to 2011 report, the company had nearly 8,294 employees in 164 countries all over the world. The same year saw a dynamic growth with sale of 4.6 billion cans across the world. There are currently 1 consumer reviews about Red Bull available. Share your review. you get no review until someone calls me! 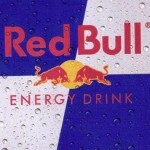 Please take a note that you are about to post a public review about Red Bull corporate office on CorporateOffice.com. This review will be public, so please do not post any of your personal information on this website. If you would like to contact the corporate offices of Red Bull, please use their contact information such as their phone number, website, and address listed above to contact them. However, sometimes staff from Red Bull headquarters do read the reviews on this website.